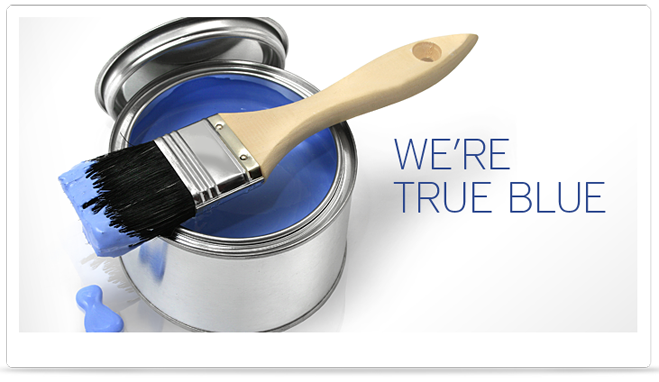 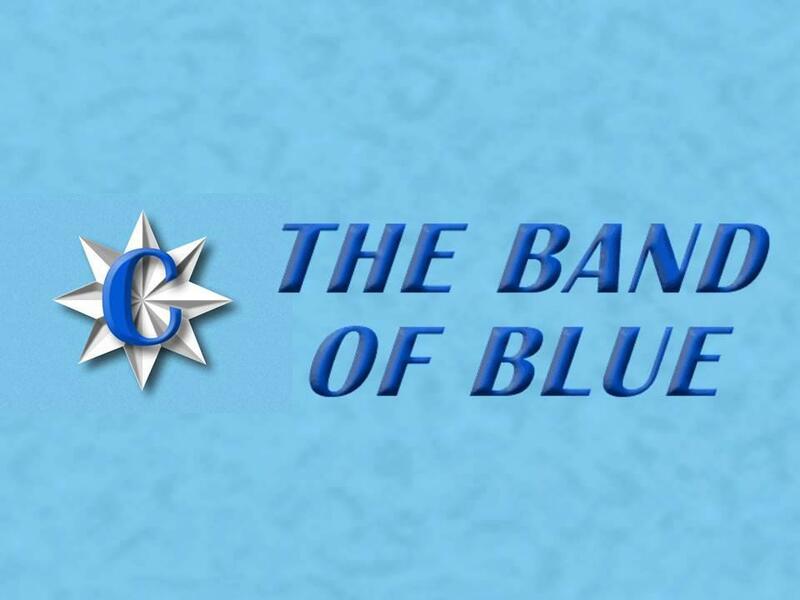 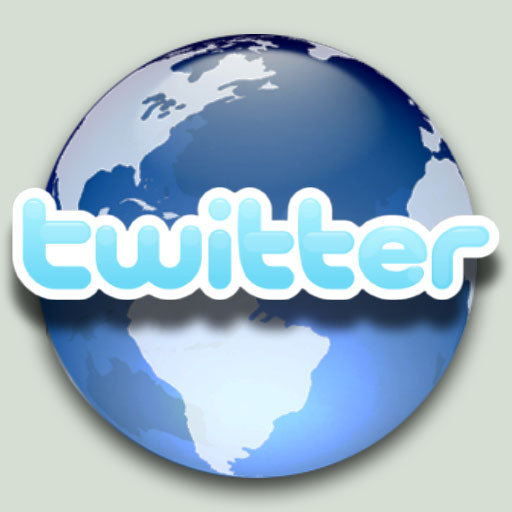 Folllow the Band of Blue on Twitter! 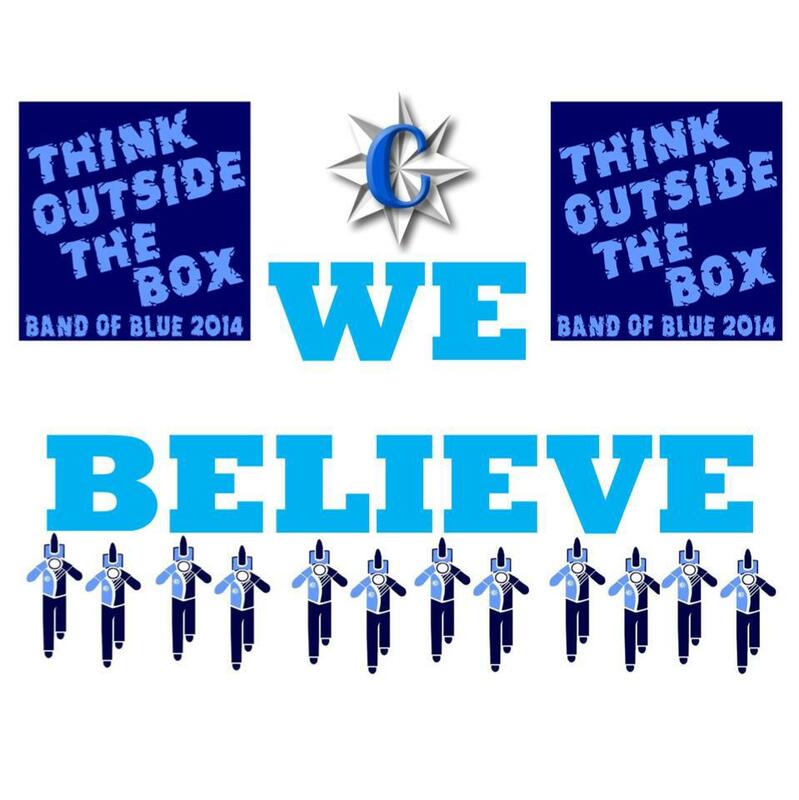 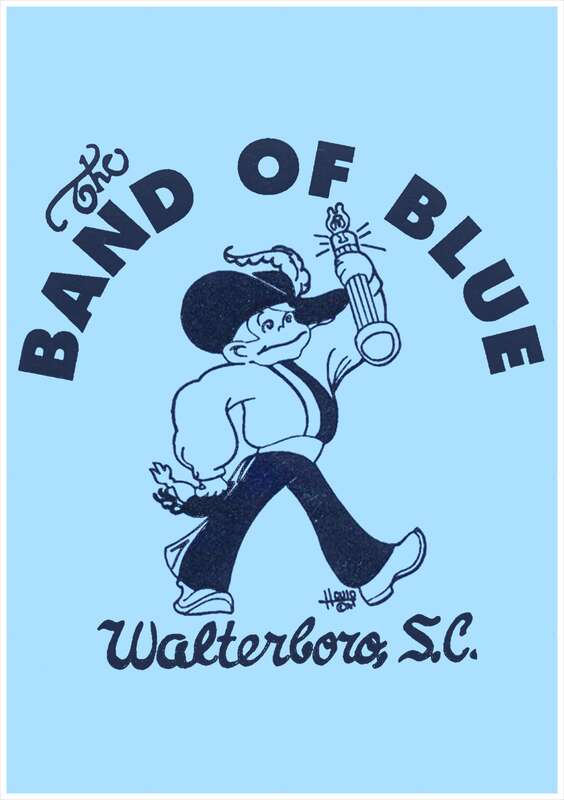 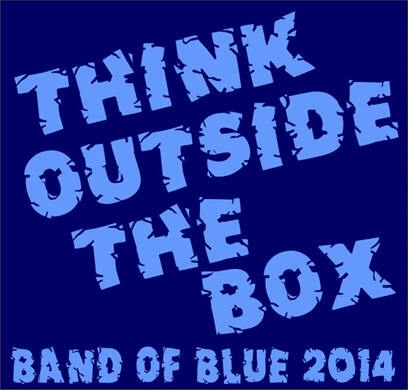 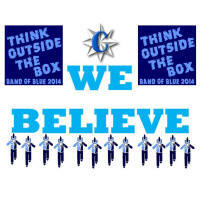 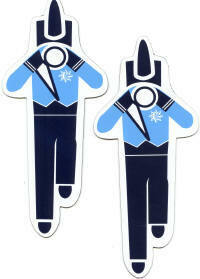 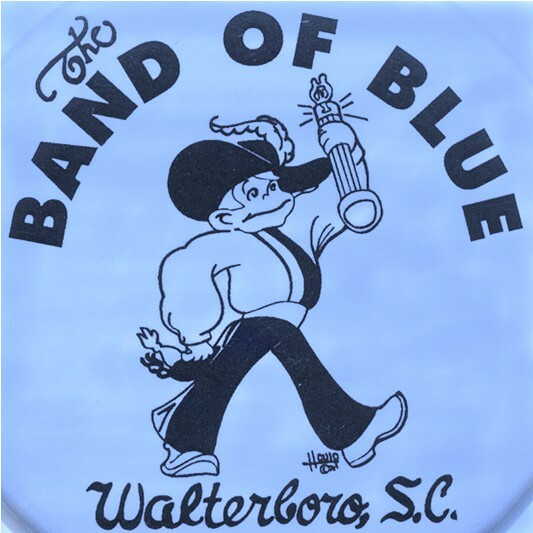 Click below to download one of the logos for the Colleton County High School Band of Blue! 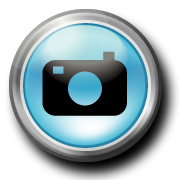 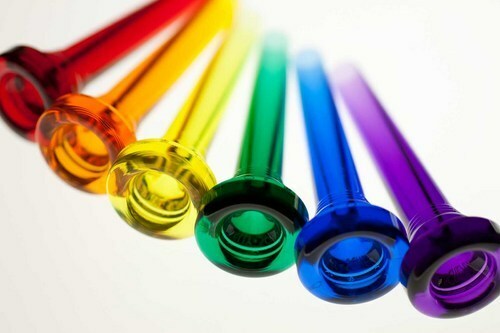 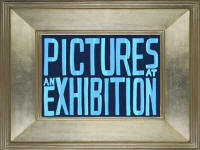 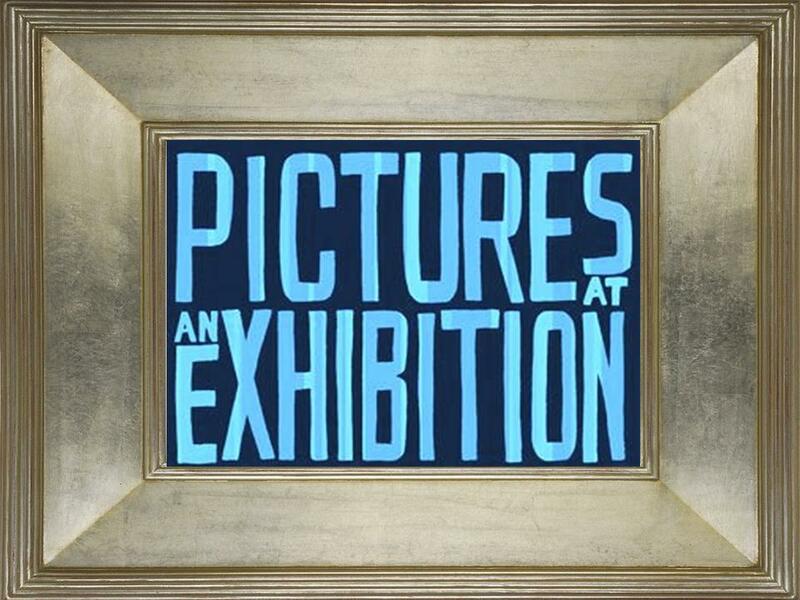 Got an Idea for the web page? 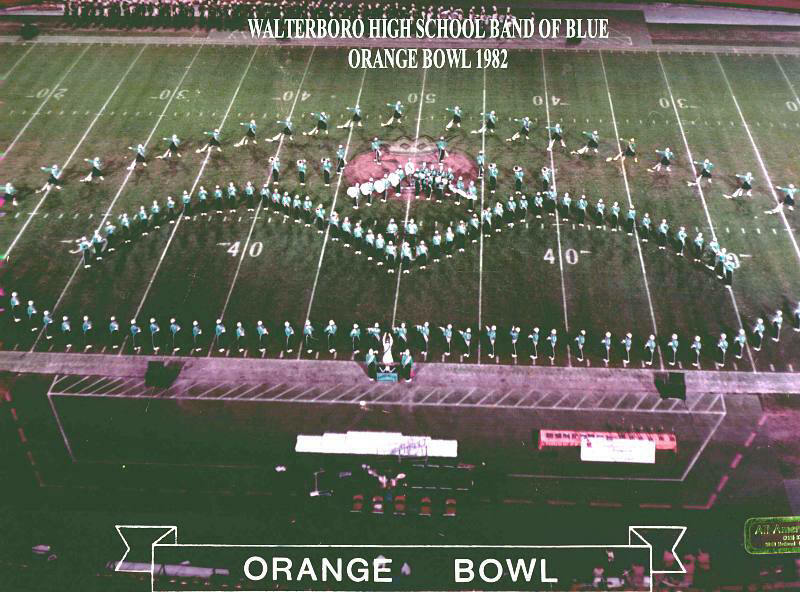 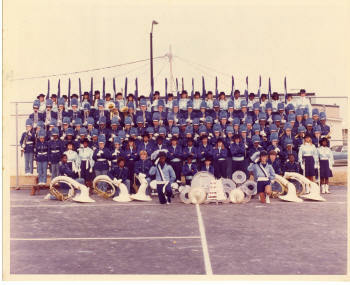 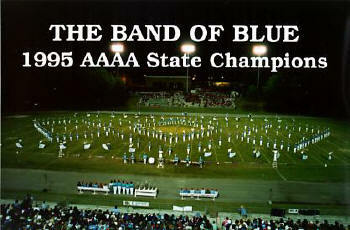 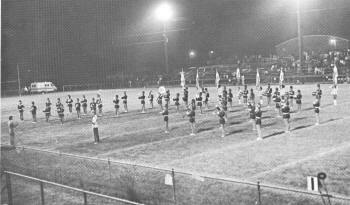 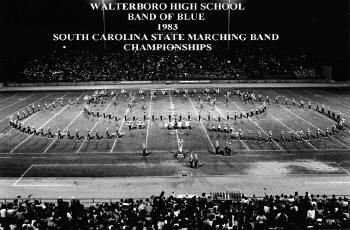 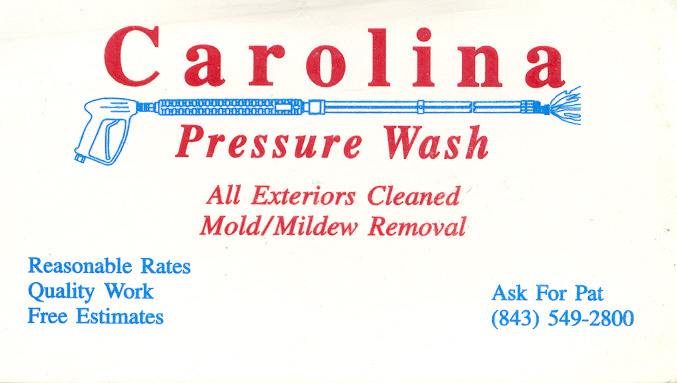 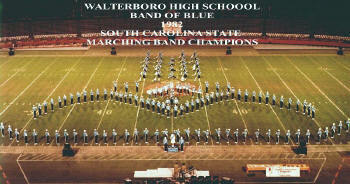 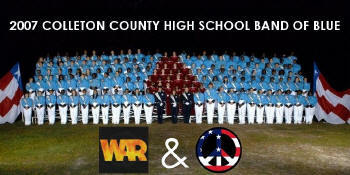 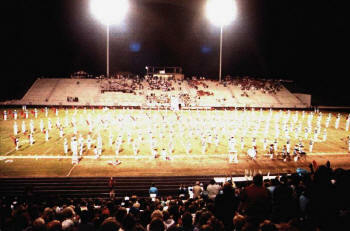 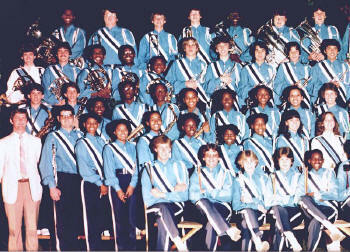 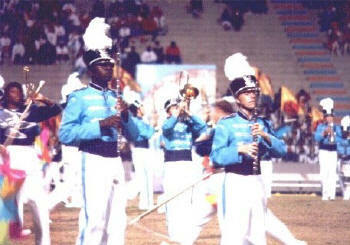 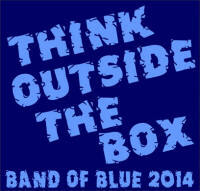 Join the Band of Blue as we present our 2013 show "Traditions 1973-2053"
Want to talk about Band in SC? 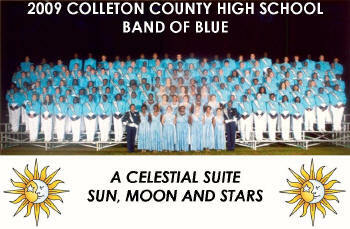 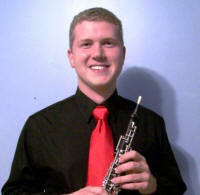 The Colleton County Band Program consists of approximately 750 student musicians. 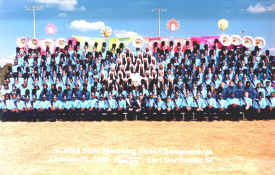 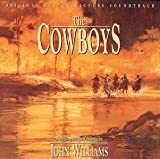 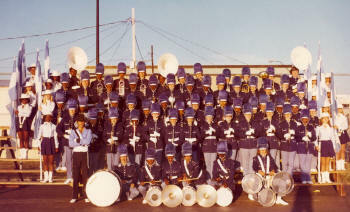 The beginning band consists of 175 students, the middle school band consists of 100 students and the 8th grade Junior Band consists of 75 bandsmen. 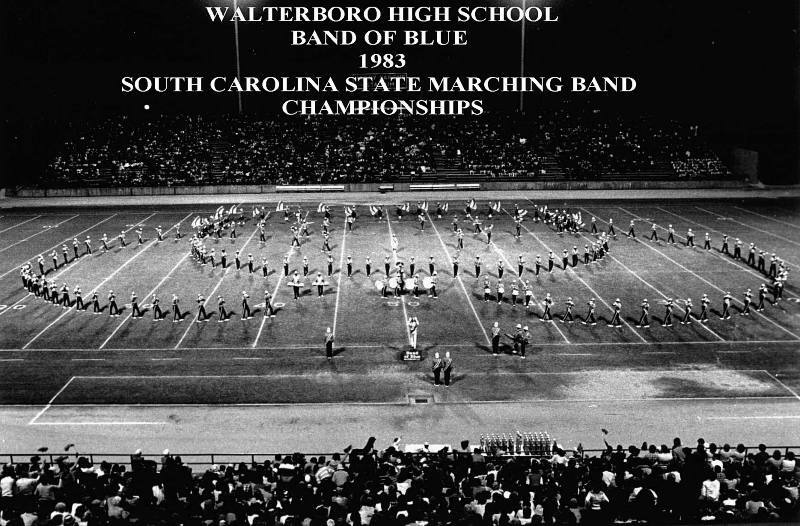 The band program is an integral part of the curriculum and provides a firm foundation for the Colleton County High School Band. 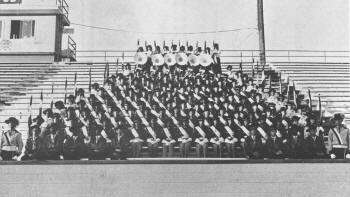 The Colleton County High School "Band of Blue" consists of 165 bandsmen. 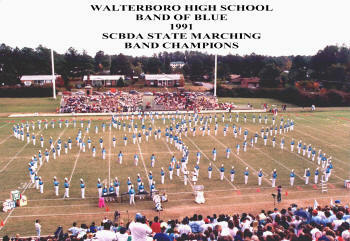 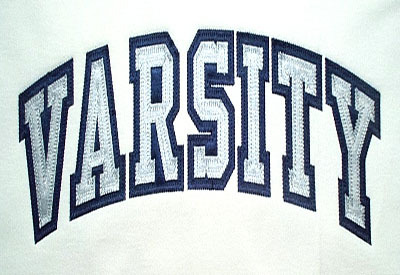 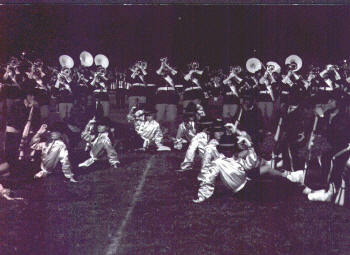 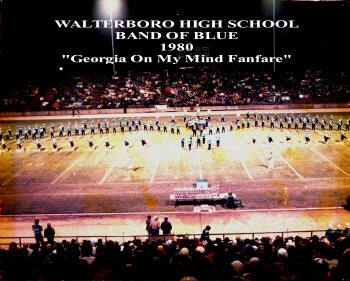 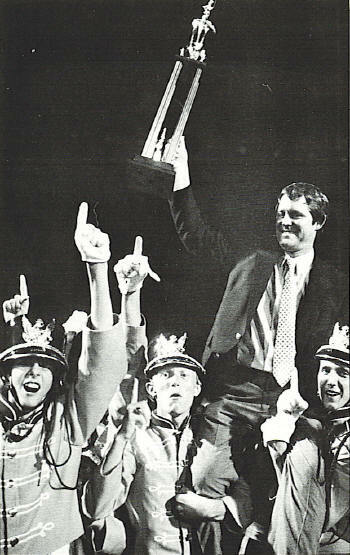 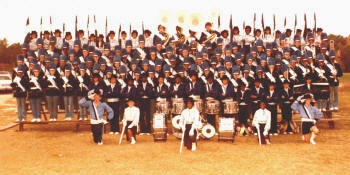 The "Band of Blue" has won the South Carolina State Marching Band Championships in 1982, 1986, 1989, 1990, 1991, 1992, 1993, 1995 and 1997. The "Band of Blue" has performed for one presidential inaugural and four gubernatorial inaugurals. 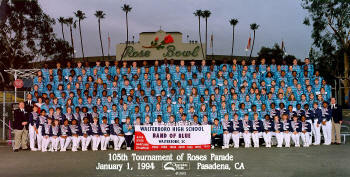 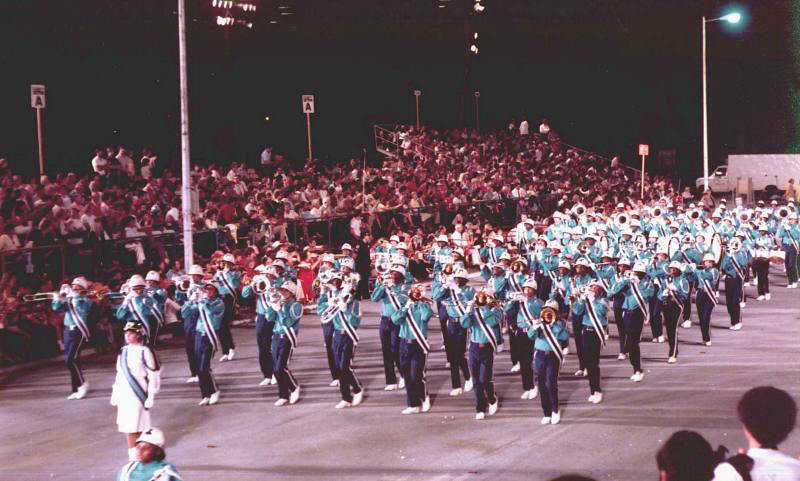 In 1994, The Band of Blue marched in the 105th Tournament of Roses Parade in Pasadena, California. 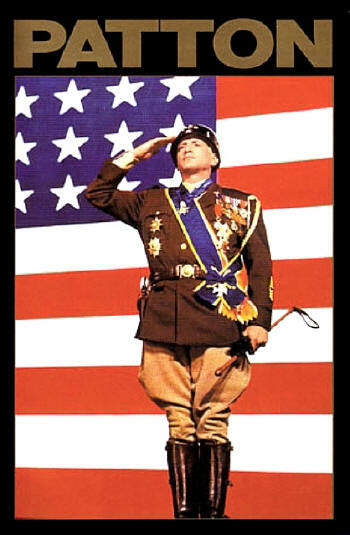 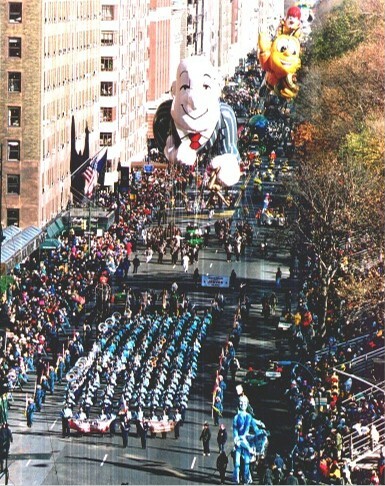 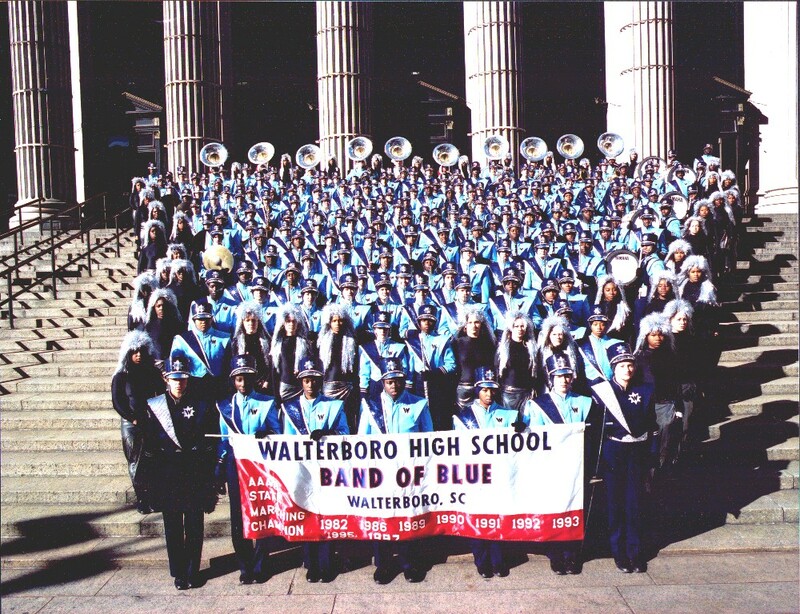 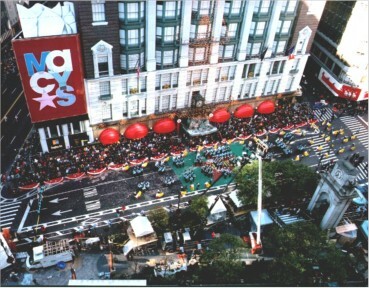 In 2000, The Band of Blue marched in the 74th annual Macy*s Thanksgiving Day Parade and most recently The Band of Blue was featured in the 2008 National Cherry Blossom Festival Parade in Washington, DC. 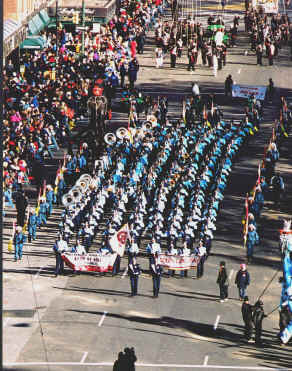 In 2010 The Band traveled to New Orleans, LA. 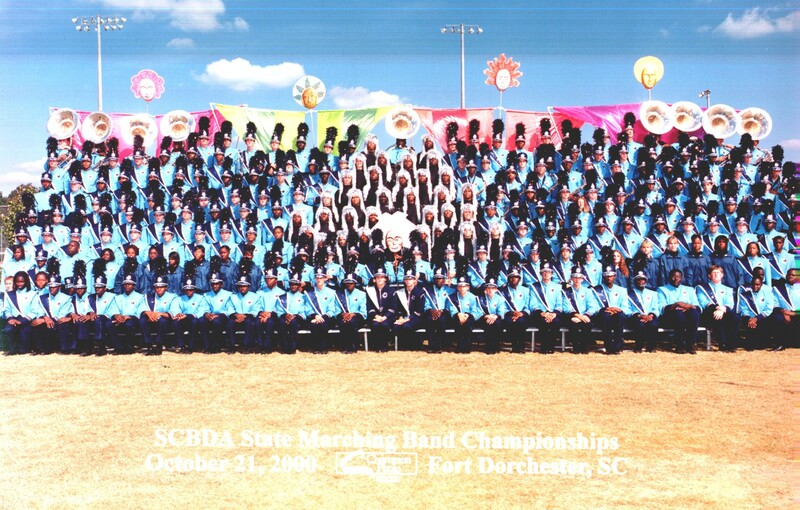 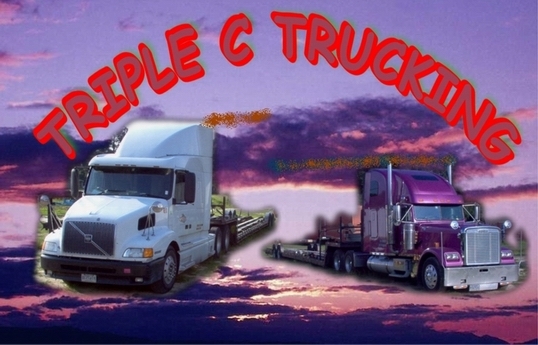 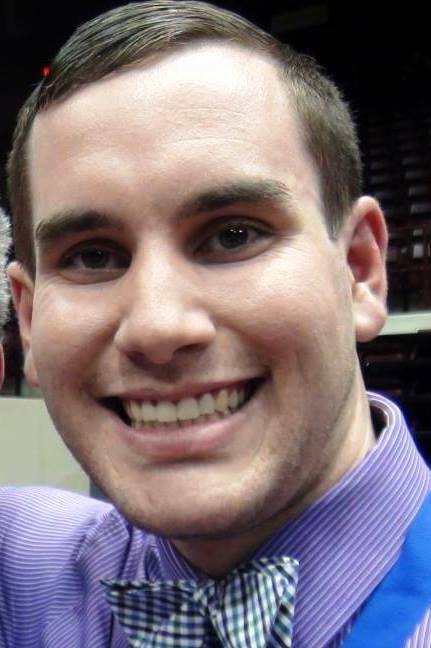 and formed in the Mardi Gras Endymion Parade in 2010 and 2013.